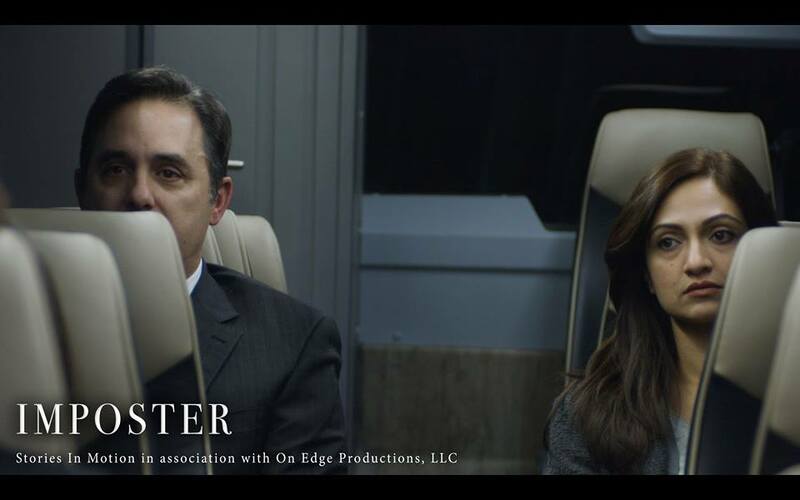 “Imposter” (2018) is among the most relatable, beautifully made, deeply symbolic and personal compositions yet from the incredibly talented writer-director Chris Esper. The nine-minute and fifty-four second short film is a series of three interconnected vignettes. They focus on the inward struggles of anxiety and the idea of the Imposter Syndrome. The latter concept, which was formulated by clinical psychologists Dr. Pauline R. Clance and Suzanne A. Imes in 1978, concerns the idea that someone who is known for their accomplishments are afraid of being exposed as a con. This theme is expounded upon early on in the form of an overworked man, Mike (in a powerhouse performance from Tom Mariano). During a meeting, he is plagued by visions of a young jester (in a quietly heartfelt enactment from Brendan Meehan). This figure can be seen as the adolescent side of Mike who simply wants to enjoy life. After his meeting he gets on a bus. From herein, we follow an artist (Sheetal Kelkar) and her counterpart (Jamie Braddy) to an art gallery. Here Esper wordlessly shows that both parties feel like they are embarrassed and on display. Returning to the aforementioned vehicle, Esper goes among the populace of the transport. In so doing, he often utilizes direct imagery to quickly tell many private stories of worry and woe. This ends on a highly effective note of tragedy that involves two military veterans (William DeCoff and Adam Masnyk). Esper’s latest mechanizes tremendously well as social commentary and as an almost entirely dialogue free character study. His scripting and guidance of the project is masterful and mature at every avenue. 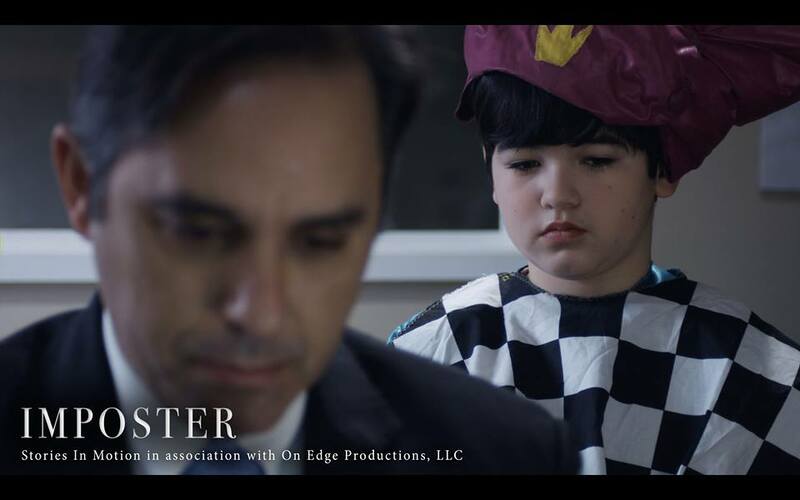 The Stories in Motion and On Edge Productions fabrication, potently edited by Esper, is also a triumphant demonstration of Ben Alexander and Bryce Brashears’ sound. The same can be said of the lush cinematography from Rick King. This is also true of the make-up and special effects from Julianne Ross. The gently used music from Steven Lanning-Cafaro is haunting and evocative. It fits the tone of the project exceptionally. All of these moviemaking ingredients help make “Imposter” a timely and timeless meditation on the insecurities which secretly bind so many individuals. I especially related to the first two segments. They immediately spoke to both the full-time laborer and the part-time writer within me. Yet, what is just as remarkable is how, when viewed as a whole, Esper creates a portrait of our civilization that is as intimate as it is grand. This is cinematic poetry. It is as open to interpretation as it is credible and layered. Esper wants to prove that beneath each person is an entire world of wounded self-doubt that others may never understand. He has done so with intelligence and grace. “Imposter” is a masterpiece. It is also one of the best ventures of its type I’ve seen all year. Well done everyone and congrats to Chris ! Thanks for your kind words! I am glad you enjoyed the review! The praise is certainly well deserved!